Walk up the steps, it's not that difficult. You will have a great view of the whole area on the top. It is a nice place to sit and think about the city which thrived here in the ancient times but no longer exists. 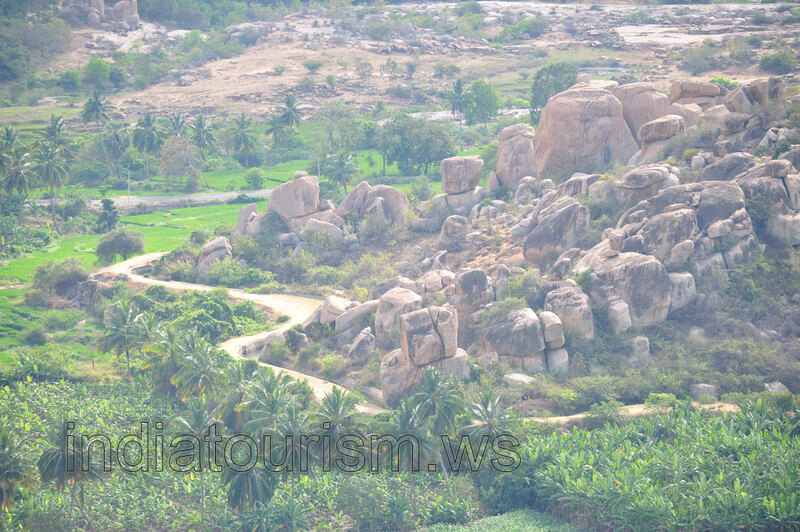 It is the best place we have visited in Hampi.